This Thatcham Approved car alarm installation found us in Brighouse, West Yorkshire, just on the outskirts of Huddersfield. 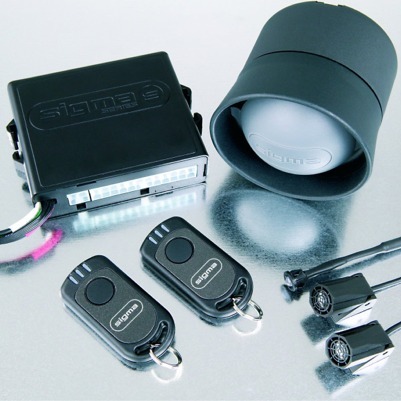 The Car Alarm fitted in Brighouse of choice was the Sigma S34 and the vehicle, a 2013 Hyundai i10. The customer chose the Sigma S34 as a way of upgrading from key operated central locking on the Hyundai to remote cental locking via the remote control of the Sigma Car Alarm. This particular Thatcham approved Car Alarm fitted in Brighouse has the ability to operate any type of central locking on any vehicle. Unfortunately on the Hyundai it only has 'partial' central locking which requires the addition of a door motor to be fitted inside the drivers door. This allows the simulation of the key turning when the Sigma remote control is used and therefore locks and unlocks all the vehicles doors. Our customer found our website via Google, who commented "I found the site very informative but nothing beats actually speaking to someone". He added, "the mobile fitting at my home is very convenient and allowed me to read the morning paper in peace and quiet". If you would like to find out more about Car Alarm fitted in Brighouse, or even Huddersfield then please do not hesitate to contact us where we will be more than happy to discuss your requirements. ✓ Dual Circuit immobiliser with passive arming.